You've been acting for many years now. Was it always your intention to move into directing? I’d always been interested in the whole world of the stories I was acting in and in the storytelling process itself, so yes I think at the back of my mind I’d always wanted to do it. The main thrust was actually the writing process. Acting is such a fraught and unstable way to earn a living and you can’t do it on your own! However, if you’re writing something, you decide if you’re going to work on it or not (at least when you’re un-commissioned and before anyone else has rights on your story!). So writing can keep your creative processes alive, simply because it’s only you doing it, which can be empowering when everything else has stopped. How long did it take you to get from penning Sink's script to finding yourself on set? It was about six months after writing the final draft that we started shooting. Little did I know it would be another three years before the film would actually be seen! 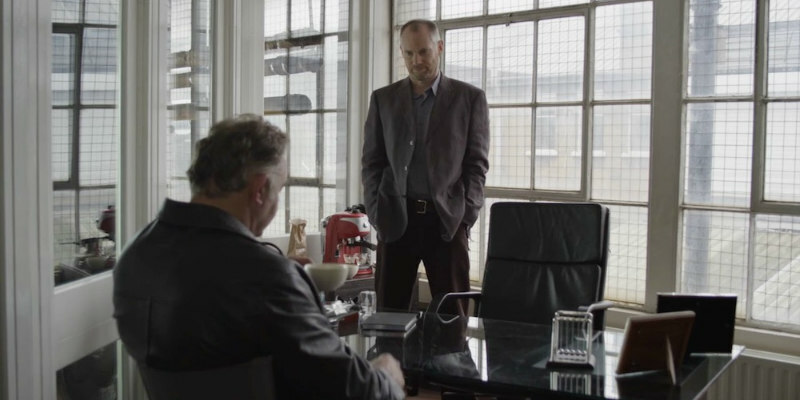 Too often, working class protagonists in British dramas can feel like they exist simply to deliver a social message courtesy of the filmmaker. Refreshingly, Sink's protagonist, Micky Mason, is a fully rounded character and I really got the sense that he was the creation of a writer that had a genuine affection for him. Was Micky inspired by anyone from your own life, or perhaps even your own experiences? Yes, it is a particular bugbear of mine, the way working class people are presented in dramas. People who live on a council estate still talk to each other, laugh, fall in love - they just live on a council estate. I suppose Micky is an amalgam of people I know but I did see him very quickly and very clearly in the early stages of planning the script. I like him a lot. Martin Herdman is sensational as Micky. Where did you find him? He’s brilliant isn’t he? We shared a dressing room in Antony & Cleopatra at Liverpool Playhouse and Chichester (Kim Cattrall was playing Cleopatra). Apart from sharing a lot of laughs we talked about what else we were doing. Martin had just made a short film, RITE, directed by Michael Pearce (Beast) and I thought he was great in it. He’s a terrific film actor, he manages to bring a great depth to everything he does. He’s been acting for decades and never had the kind of break that would mean he’d be seen for large roles. I really hope people see him in this! Acting is notoriously an unstable career, with most professional performers living in a constant state of financial uncertainty. Did Martin draw on his own life experience in this way? Yes, it’s a very silly way to make a living (or not). I think everyone who lives with a precarious income knows what that does to you, and Martin and I talked a lot about how that insecurity feels and shows itself. Of course, as actors, we’ve made the decision to live that life - nobody’s forced us to do it. The tragedy is that now millions of people are forced into that insecure way of working. I think that’s a very dangerous route for society. The dialogue, and just as importantly, the silence, of the film has a very natural feel. Was there much improvisation on set? No, everything was scripted but we did have three weeks of rehearsal where we could really get underneath the dialogue, away from the pressure of the set. It think that was vital for gaining the depth and the space around what is being said. The film has a very progressive view of the drugs trade, with Paul, the likeable drug kingpin you play yourself, a million miles away from the sort of nasty stereotypes we usually see on screen. Do you believe drugs should be decriminalised and turned into a legitimate industry that people like Micky and Paul can prosper in? I was anxious to avoid the stereotype of the camel coated drug dealer because most drugs aren’t dealt that way. Millions of people use Class A drugs every weekend and they’re not all buying them from heavies in big cars. A lot of the actual business is done in a very low key way with trading relationships built up over time - there’s a normality to it. However, it is also true that the drug trade has an appalling effect on sections of society. Wherever the final trading gets done there is still a heartless, cruel, brutal business at its core. That juxtaposition interested me; Paul sells high end product to City Boys - a middle class businessman like any other (in fact, rather Thatcherite in his views). At the other end of the spectrum you have kids on bikes and we all know the consequences and dangers they live with. So I don’t feel it’s the film’s responsibility to argue for or against decriminalisation (a very complicated question) so much as to present the reality of the drug trade as it is across different sections of society (and perhaps the way those different trading situations are viewed and acted upon?). Filmmakers like Richard Linklater and Francois Truffaut have spun out series revolving around recurring characters. Would you ever consider checking back in on Micky in a future film? This is strange. 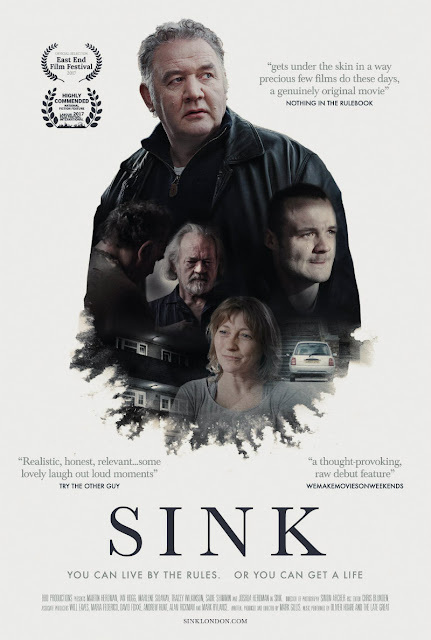 I never thought about there being a future story here - Sink was a one off and, to me, had a finite ending. However, a number of people have also asked this question about whether there were more stories to come. I think I’m probably too close to it now, but never say never!